Caption slip reads: "Photographer: Wyman. Date: 1954-05-15. Reporter: Harmon. Assignment: Rag Warehouse Fire, Commercial and Vignes. 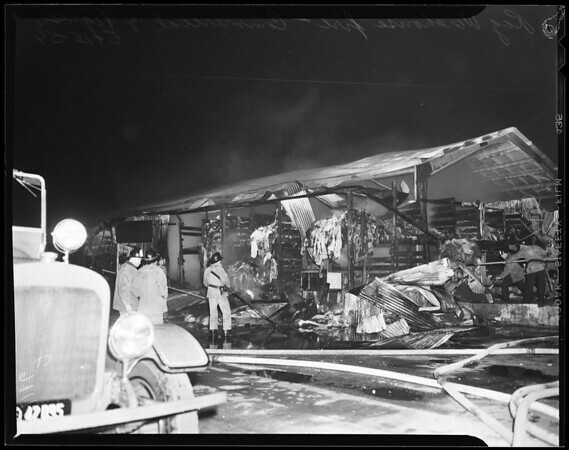 53-54: Gen. views of fire".